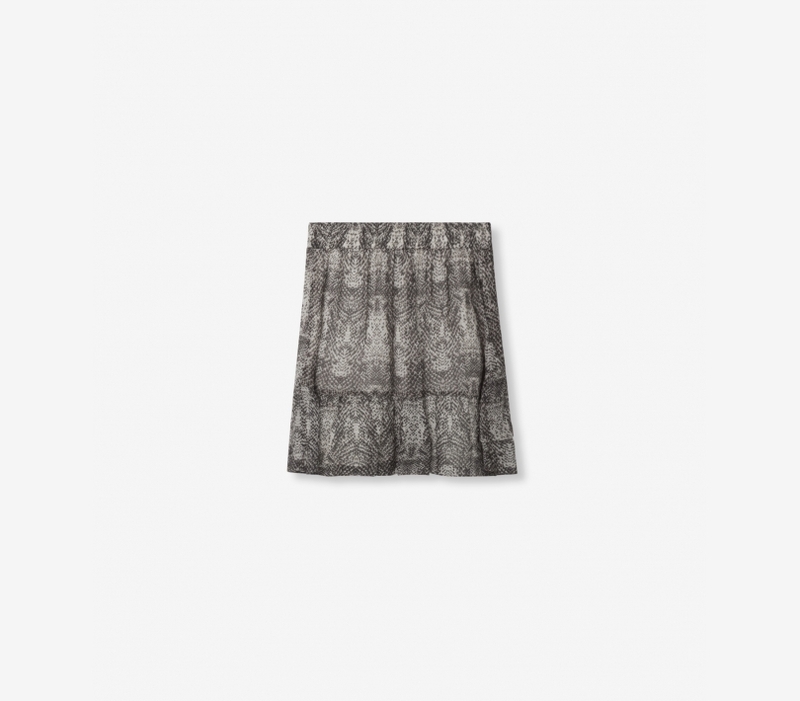 Feminine skirt with ruffles cut from a snake printed viscose chiffon quality. Finished with an elasticated back waistband for a comfortable fit and fully lined for coverage. 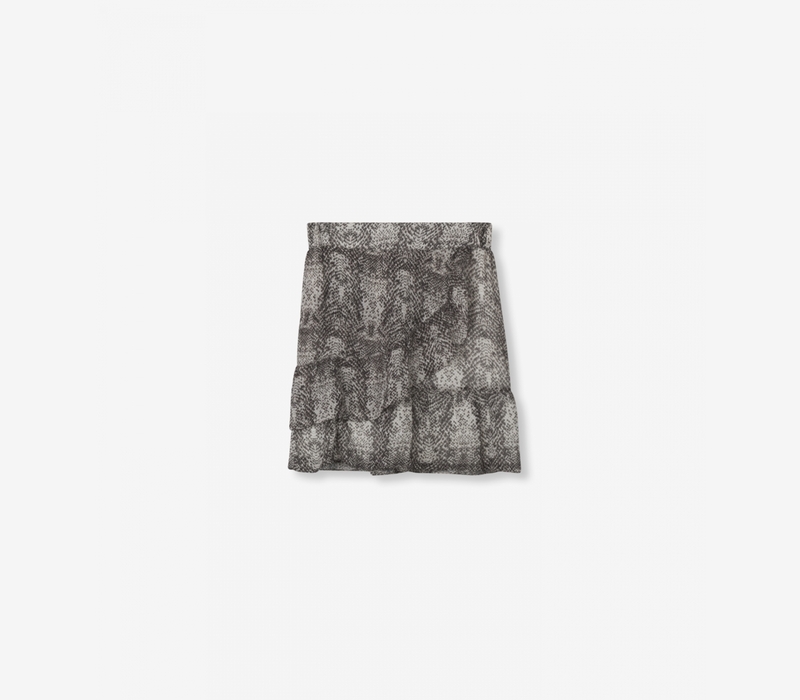 Skirt with elasticated back waistband and a length ending well above the knee.